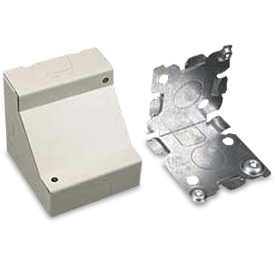 Solid Base Fixture Box is for feeding raceway from ceiling or floor. It allows ample splice room. Each leg of the base has 1/2" trade size KO. Color: Ivory.